The wall honors immigrants of all eras and ethnicities, representing families and individuals, and those both living and deceased. According to the Statue of Liberty- Ellis Foundation, “virtually every nationality is represented on the wall from every inhabited continent on the face of the earth.” This includes, as the foundation’s website reads, those who “endured forced migration from slavery” and American Indians. For those who wish to submit a name to be engraved the wall, fill out an online form or request a form by mail. One family or an individual name costs $150 and two-name entries cost $225. And for contributions of $1,000, $5,000 or $10,000, you are entitled to two full lines on the wall. Paper reproductions of each wall panel can be purchased for $30 per panel. 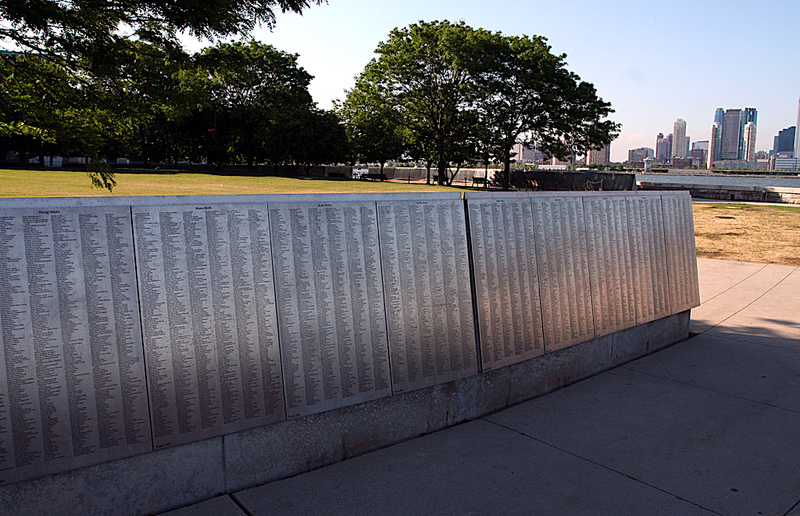 Visitors can search for their family’s name online here before visiting the Wall of Honor in person. The memorial will remain open during the government shutdown thanks to funding from New York State.